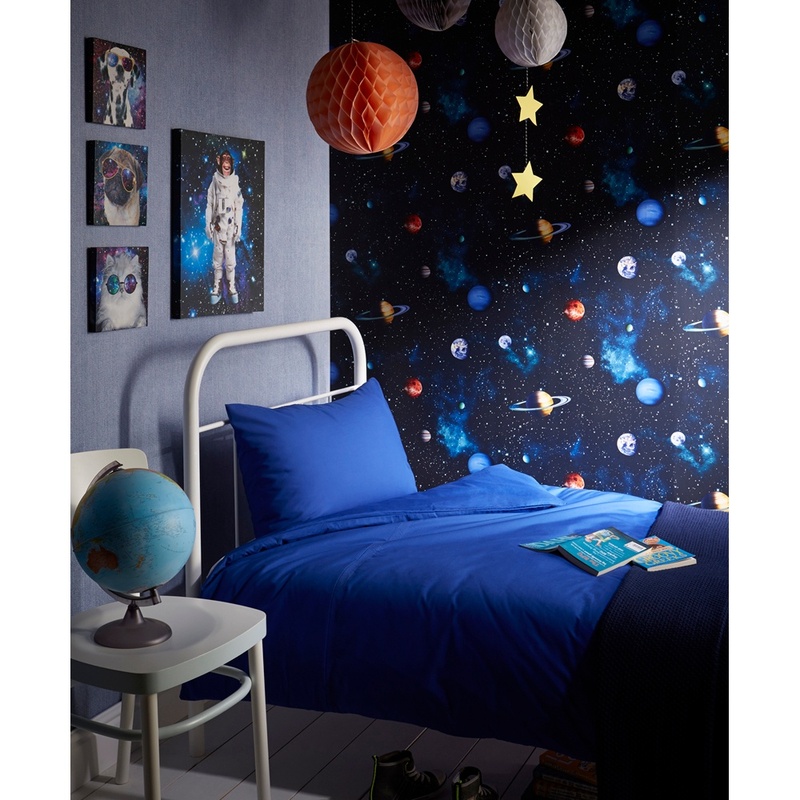 Showing our 2 Arthouse Cosmos Space Pattern Planets Earth Childrens Wallpaper 668100 reviews with an average rating of Excellent. Would you like to write a review? My 6 year old loves this paper. Due to it being dark Paper it needs to be lined up perfectly to avoid small light lines at joins if you have a light coloured wall below. However it looks great on the wall! It is quite dark so we painted the other walls a light blue and it looks great together. I highly recommend the paper.